You may have already heard this sad news, but I feel it's important to help spread the word as widely as possible. 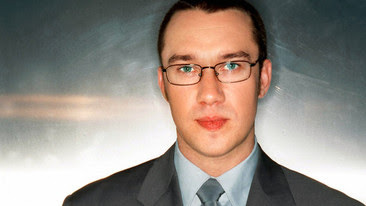 Due to management changes at BBC Radio 2, Mark Lamarr's excellent Reggae, Alternative 60s and Shake, Rattle 'n' Roll music shows have unexpectedly been axed. Lamarr's shows are loved almost universally by vintage music fans and these were amongst the very few shows on mainstream radio playing this sort of quality music. So acclaimed were his shows in fact, that for Shake, Rattle 'n' Roll he won the Bronze award for Best Music Broadcaster in 2003 and 2002, and the Music Broadcast Award and the Special Interest Music Award at the 1999 Sony Radio Awards. His Beginners Guide to Reggae show also won a Sony Award. The only show of his that is currently still on air is the equally fantastic God's Own Jukebox. However, the future of that show is by no means certain either. It is essential that anyone who cares about having a diverse range of music on British radio stands up now and lets their voice be heard. You don't have to write a message, but I feel that it's important to let them and the BBC know just how much all three of Lamarr's shows are loved and how important it is to have all of this music represented on air. Remember, this is not about the cult of the personality or keeping someone in a job, but about keeping quality music on British radio, presented by someone who's passion for collecting and sharing obscure vintage music is second to none.